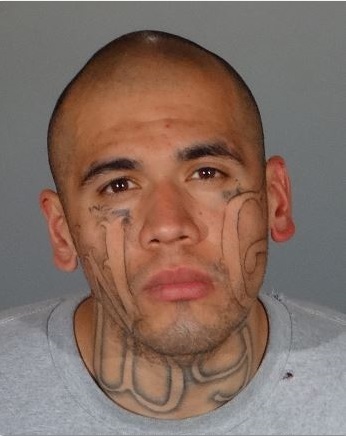 WHITTIER >> Prosecutors filed capital murder and other charges Wednesday against a gang member and probationer accused of killing one Whittier police officer and wounding another last month after gunning down his cousin in East Los Angeles, authorities said. Michael Christopher Mejia, 26, of Los Angeles faces two counts of murder, one count of attempted murder, one count of carjacking and one count of possession of a firearm by a convicted felon in connection with the shootings, which took place on the morning of Feb. 20 in East Los Angeles and in Whittier, according to Los Angeles County District Attorney’s Office spokesman Greg Risling. Mejia could face the death penalty if convicted of the murder of Whittier police Officer Keith Boyer, the murder of his cousin, Roy Torres, the wounding of Whittier officer Patrick Hazell, as well as the carjacking of his cousin and the alleged weapons violation, officials said. “A decision on whether to seek capital punishment will me made at a later date,” Risling said in a written statement. Mejia, who was shot and wounded himself by police before being apprehended, was scheduled to appear for an arraignment hearing Thursday in the Bellflower branch of Los Angeles County Superior Court, Risling said. But it was unclear if his medical condition would force the hearing to be postponed. Mejia has remained hospitalized in a jail ward since the shooting, records show. He was immediately sentenced to a 10-day “flash incarceration” for violating the terms of his probation under the terms of AB 109 pending the filing of charges in connection with the deadly shootings. The 10-day, automatic sentence is set to expire Thursday. Mejia first shot and killed Torres inside the converted garage he was using as a bedroom at his home in East Los Angeles, Los Angeles County sheriff’s officials said. Mejia then stole his slain cousin’s car and made his way to Whittier. A little under three hours later, Mejia was involved in a minor traffic collision with two other motorists at Colima Road and Mar Vista Street, investigators said. “Police responded to the crash and when they ordered Mejia to get out of his car the defendant is accused of pulling out a semi-automatic handgun and firing at two officers,” Risling said. Boyer was killed and Hazell was also wounded. Hazell has since been released from the hospital and is continuing his recovery at home. Mejia has prior felony convictions for robbery in 2010 and auto theft in 2014, Risling said. Since being released from custody for the auto theft conviction in April of 2016, Mejia was arrested five times for probation violations, records show. Each time, he received a 9- or 10-day “flash incarceration” before being turned loose again. The case has prompted outrage from law enforcement and questions from politicians and community members over recent efforts to empty California’s overpopulated prisons, such as AB 109, also knows as the Public Safety Realignment of 2011, and Proposition 47 of 2014, which reduced some felony crimes to misdemeanors. Memorial services for Boyer are scheduled Thursday evening and Friday morning. Boyer, who was 53, was a a 27-year veteran of the Whittier Police Department. He is the first Whittier officer killed in the line of duty since 1979. A public viewing will take place from 6:30 p.m. to 9 p.m. Thursday at the Whittier Area Community Church, 8100 Colima Road in Whittier. The funeral will be held at 10 a.m. Friday at Calvary Chapel Downey, 12808 Woodruff Ave. in Downey, followed immediately by a procession and graveside ceremony as Rose Hills Memorial Park, 3888 Workman Mill Road in Whittier.